Take advantage of this hot new cap printing trend even if you don’t own a cap press with a curved platen. 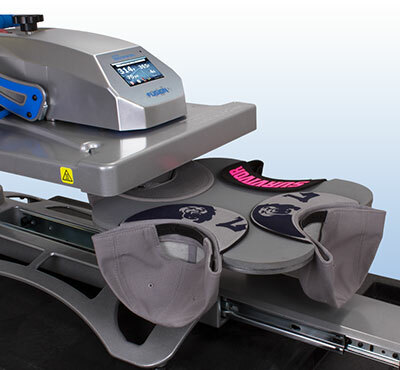 You can turn your Hotronix garment press into a cap bill printing machine with our new specialty platen. 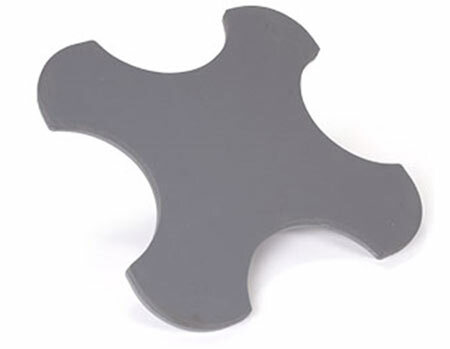 The Hat Bill Platen is an exclusive platen designed for heat printing on the brim of a hat or cap. It's unique design allows you to easily fit up to 4 hats on the platen per press. You can also flip your hat around and press the top of the bill as well. While a variety of hats can be pressed with this platen, it is primarily targeted for flat brim caps. Shipping Dimensions: 20" x 18" x 16"